December 29, 2012 the Makeup stuff., the Me stuff. The talented magician and the beautiful girl that the magician saws in half. I shall be raving about *two* people that I love on this particular post. Let me begin by saying this: It takes two components to create a good magic show. First, you must have a talented and crafty magician. And second, you must have a beautiful girl that the magician impresses his or her audience with, an assistant of sorts that the magician then magically saws in half (or something like that) that causes everyone to gasp and say their “Oohs!” and “Aahs!”. Both are essential for a great magic show. I’ll also admit that I got to play a little part in this show, too- I got to be the makeup wizard for the beautiful girl that gets sawed in half. I would’ve been glad to simply have been the rabbit that gets pulled out of a hat for this one, so needless to say, I was quite thrilled with my role. For this particular magic show, let me first introduce you to the beautiful girl that gets sawed in half. This is Ali. It’s Alison, really, but everyone calls her Ali and she is beautiful. I’ve known her for a while now, and for as long as I have known her she and Mike have been together. These two are awesome, to say the least. Their engagement is one that a lot of folks have been excited for, and needless to say I was ecstatic when Ali asked me to be one of her bridesmaids next summer. In addition to this though, I shall also have the honor of being Ali’s makeup artist for her big day. Double stoked. Ali and Mike had their engagement shoot in early December at Disneyland on a Friday morning, and I was initially so bummed because I already knew I’d be teaching that morning so I’d have no chance to do her makeup. But then it dawned on me- Ali lives right by the school I was booked for, and I was going to have a free hour in the earlier part of the school day, so why not do her makeup beforehand at the school?! Let me tell you, it’s a little awkward doing someone’s makeup in a teacher’s lounge as teachers pass you by and whisper, “Maybe it’s Maybelline!”, but hey, I was asking for it. And it was worth it. And there’s nothing better to give me energy before teaching high-schoolers than doing makeup for a friend! I went for a more dramatic eye on Ali (because let’s face it- those eyes are too much fun) using L’Oreal’s eyeshadow that I talked about here, and we did some false lashes too because she’d never done them before! And of course, falsies are great for photos because they ensure that your eyes will not be ignored (Dan!). I used my trusty neon-hued NARS blush in Exhibit A to also help Ali’s cheekers not go unnoticed, too. And Ali and I are both huge fans of BareMinerals Original SPF15 Foundation, so we naturally stuck to it. And check out Mike! Ain’t he a regular ole’ Captain America?! Ok, now let me introduce you to the talented magician behind this magic show. This is the lovely face behind Mike and Ali’s amazing Disneyland shoot- Bethany Carlson. I had the privilege of having Bethany as one of my own bridesmaids, and there are few individuals I know so personally that are so deeply talented. Seriously, I mean it when I call Bethany a magician. I’ll be posting in a bit on a bridal shoot she did of my husband and I (I’ll give you two hints- Downton Abbey and Mojave desert), but all I can really do now is encourage, no, implore you to check out her site here for some of what I’d shamelessly call the most stunning wedding and engagement photography you’ll ever see in your life. All Bethany seems to see through her lens is romance and beauty, and some of her work from this past year is nothing short of breathtaking. I also have to briefly toot my own horn and say that I had the pleasure of doing Bethany’s hair and makeup for this particular shot, which is credited to Damaris Mia (and I so wish I could credit you more, Damaris! Please send me a link if you have your own blog so I can share it!). All of the shots in this post are credited to Bethany Carlson Photography, except for the shot of Bethany which is credited to Damaris Mia. For more of Bethany’s work (and in case you were silly and didn’t follow the previous link), check out her site at http://www.bethanycarlson.com. The girl does not disappoint. P.S. 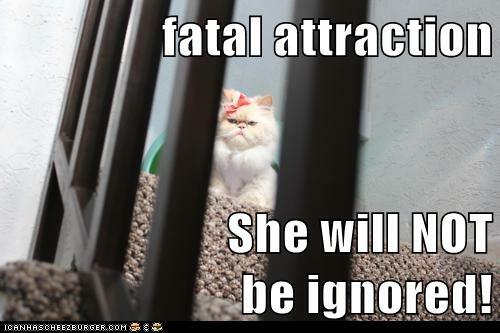 Oh, and if any of you caught the Fatal Attraction reference in the middle of this post, a million points for you.